Yay! It's time for another event from our friends at FIGUEROA PRODUCE! Thank you everyone who came out to support us! It was a wonderful turnout. There was some drama in the begining, but we ended up pulling through! I want to give a special thanks to Clare Graham, the owner of the Mor York Gallery. Everyone enjoyed the delicious tacos and all were happy. Hey everyone! The time has come again! We are having another event! 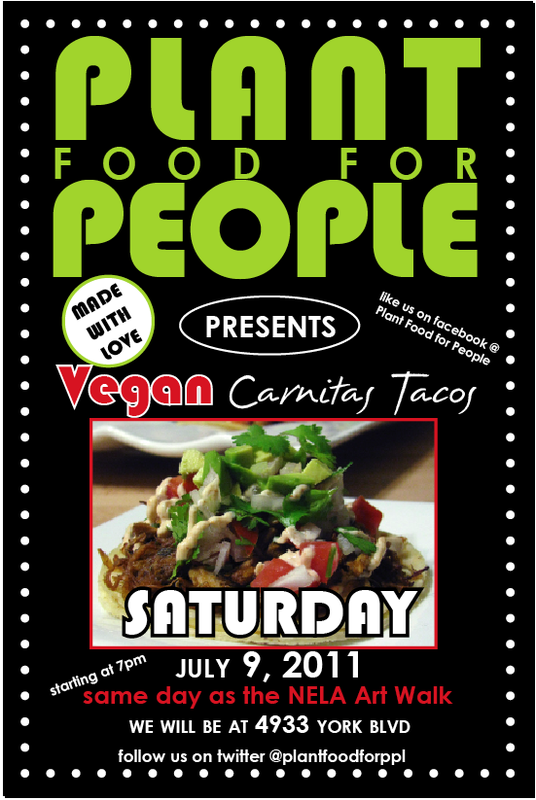 Come and enjoy fresh made Jackfruit "carnitas" tacos and check out all of our super cool merchandise! We will also be having some awesome FREE giveaways! Come one, come all and especially COME EARLY! We will be posting all the details on our twitter, facebook and website pages....so be sure to follow us! The time has come! We finally have a website! Please check it out and tell us what you think, We would love to hear your comments and suggestions. We are excited to get PFFP out on the web and are even more excited to feed you hungry people. Thanks for all your support.